The girls wanted to have raspberries on their cereal this morning but we had run out. 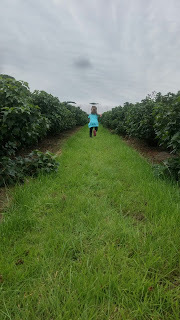 Rather than a trip to the shops we got dressed and went fruit picking. 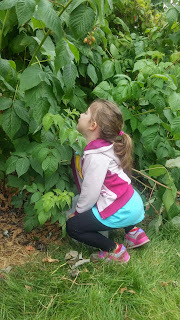 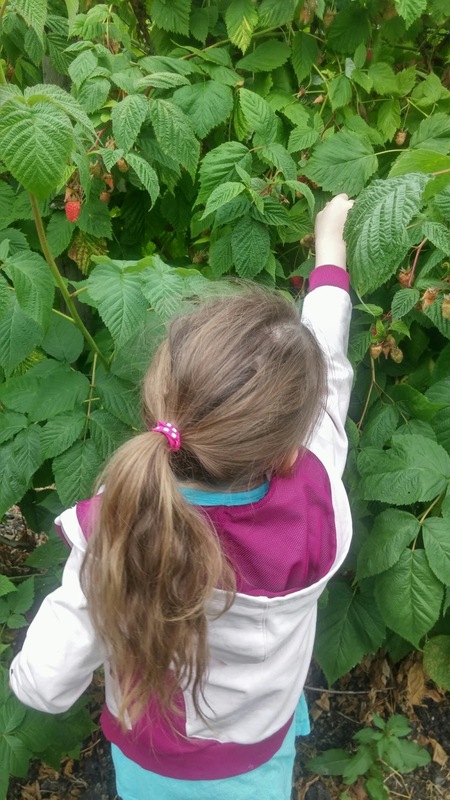 The girls loved exploring the raspberry canes that towered above them. They looked high and low to find the ruby red raspberry. 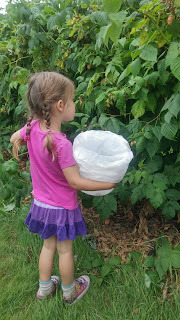 They filled their buckets with the bright red raspberries. We spent the morning picking fruit and exploring the farm. 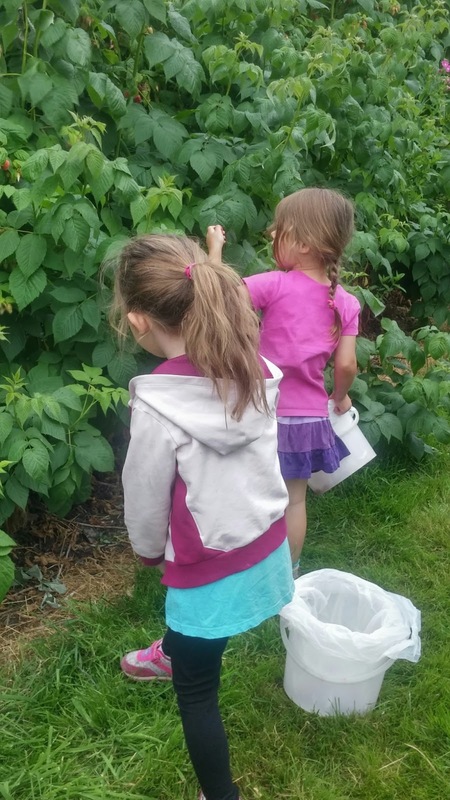 The girls had a great time and are currently enjoying their raspberries for their breakfast!